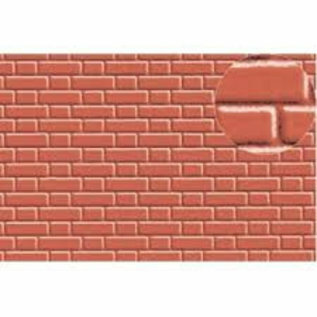 Styrene sheet embossed with flemish bond brickwork motive in H0/OO gauge. These very flexible sheets measure app. 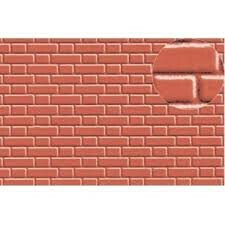 19 x 30 cm and are supplied in a stone red colour. These are type 0407 of the Slaters Plasticard range.